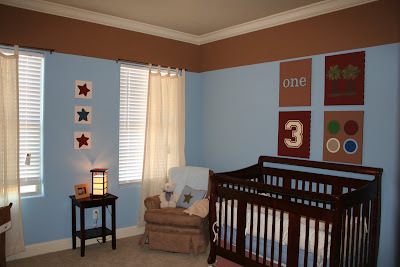 Set of four 16 x 20 canvases to match Brody's nursery and colors. 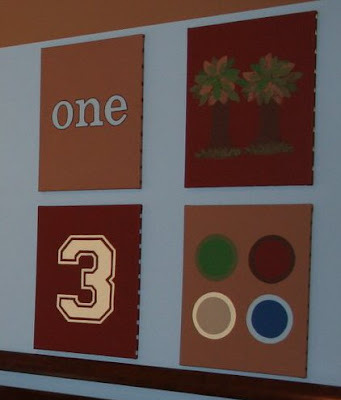 "One", "Two", "Three", "Four". Each canvas has a different shape repeated around the outer edge of the canvas.